Conifers have scale-like leaves or needles with seed-bearing cones. They are generally evergreen and are very fast growing trees that can get very large if trimming isn’t kept on top of annually. Most conifers make excellent hedges for screening, wind protection or to increase security. They are also a provide perfect cover for wildlife. 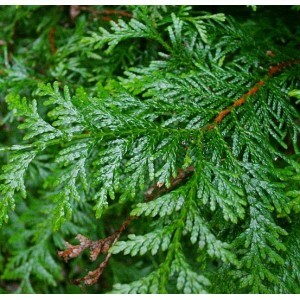 Botanical name: Thuja plicata Atrovirens Other names: Western red cedar Atrovirens D..